Although food halls have always been in existence they are enjoying a revival at present. With hundreds now operating in the States and at least three new openings announced for London in the near future, they are becoming a real solution to a few ongoing problems. 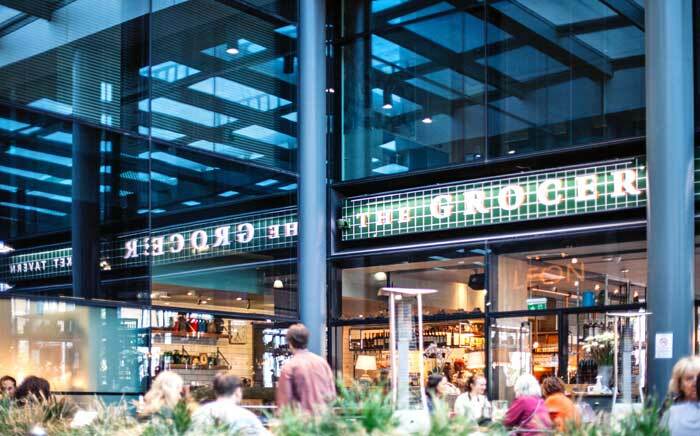 Increases in retails outlet rents, food prices generally on the up and a declining interest in the physical experience of shopping, they are creating a new ‘place to be’ for both individual consumers and those involved in the food & restaurant industry. It can be of genuine benefit to restaurateurs, for instance, in terms of reducing the expense of setting up a traditional restaurant and developing a unique brand in what has become a very tough market. Interest in locally produced, speciality and gourmet foods is not seeing any kind of decline despite a tightening of purse strings, which means opportunities are abound. This is true particularly as there are warehouses lying empty and buildings that we originally places commerce or community languishing, unused. Taking a look at food halls then with regard to their various essential components: it seems that in terms of size there is much variance, from huge (areas over 50,000 square feet) to others less than 6,000 square feet – of course it is a relatively easy option to fit a food hall into an existing mixed-use space where businesses are already thriving. In terms of layout, you have the option of sticking to the traditional concept of a food hall where the seating area is vast and placed centrally. Alternatively, it appears that consumers also enjoying more the counter type experience that you see in European cities in which food is on show and diners are ‘involved’ somewhat in the process. The seating in this kind of layout would be dotted around providing a more intimate experience or even pit-stop style eating. Recent studies indicate that today’s consumers are looking to spend their cash increasingly on experiences rather than tangible items so a small place within a food hall could be a really good investment. Although dining is the main objective, all manner of facilities can be installed or located within a food hall. The ambience of a food hall can inspire other good feelings, such as interest in art or music and other entertainment. A well designed food hall can certainly provide the kind of experience customers are looking for, and they can feel different on each visit. It will be interesting to see how this all develops over time. There are some truly beautiful food halls in existence at present and it will be a delight to see how food hall design develops in the future.